[map] [street view] Halfway between Chalmette and the NASA facility, just west of Paris Rd., near Bayou Bienvenue. HD-2: Sports and Lifestyle "3WL"
AUX: 8.2 kW @ 630 feet. 60 dBu protected contour map, from the FCC. [Picture] Image showing the RDS data decoded by a Radio Shack DX-398, showing the PS (station name) field from April 2016. [Picture] Image showing the RDS data decoded by a Mazda OEM stereo, showing the PS (station name) field, Radio-Text and PTY (format) fields, from May 2017. 95.7 in the late 50's was WWMT, an independent (i.e., not supported by an AM) classical outlet. From the mid-60's to the mid 80's, 95.7 as WBYU (BaYoU), was the dominant beautiful music (Schulke format) station in the Crescent City, much of the time with 3 format challengers: WEZB 971, WWL FM 101.9 and WQUE 93.3. As the format sunk into oblivion, the challengers went away. Even as WBYU was the sole remaining beautiful sound, they saw the end coming. One day around 1987, with no notice, they went country (challenging WNOE FM) as WQXY "Y-96". Howls of protest ensued; the country venture lasted about a year. It next tried adult contemporary with the "Mix" handle as WMXZ. In the mid-90's, it was acquired by the same owners as WLTS-FM and went oldies as WTKL Kool 95.7... Whereas the typical "oldies" station today only plays the very biggest hits with a limited playlist focused around 1964-1969, "Kool" is very different -- it wallows in the rich heritage of New Orleans and is not afraid to play forgotten 50's oldies and local artists' hits that never made it nationwide. Sometime after hurricane Katrina struck in the summer of 2005, the station swapped dial positions with WKBU-FM, from 95.7 to 105.3. 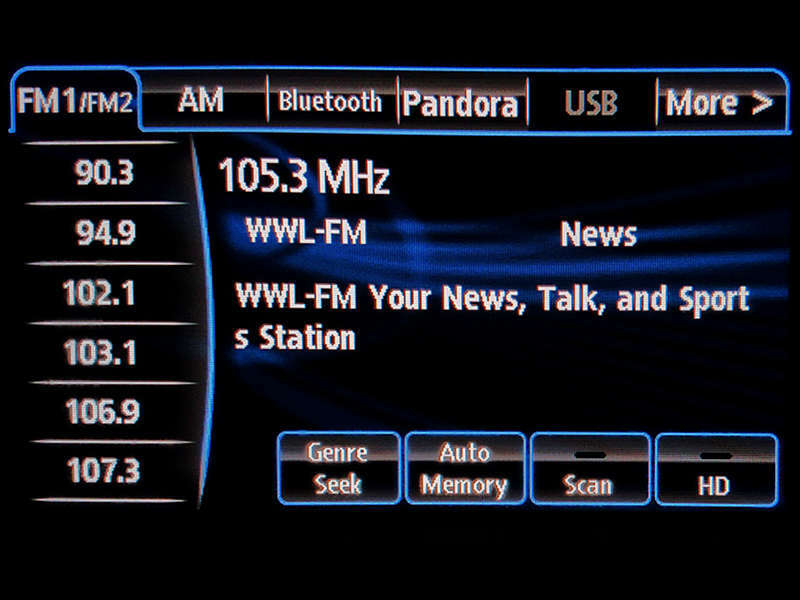 They also began simulcasting WWL-AM's talk and news format, and changed calls to WWL-FM. They also have an application to drop power and HAAT significantly. The station later adopted HD radio technology and for a while had a blues format on the HD2 called "The Delta". That later gave way to a simulcast of the sports and lifestyle talk from WWWL AM ("3WL"). 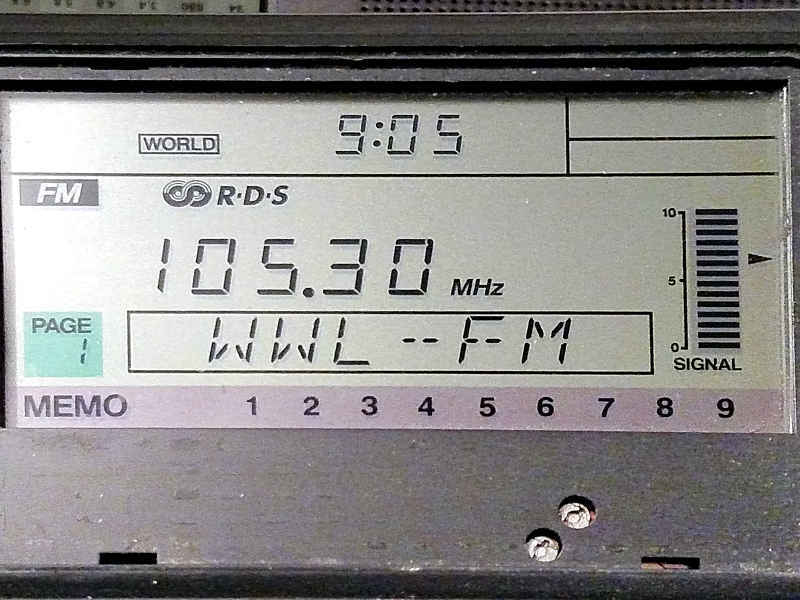 The AM WWWL got a translator in February 2017, and left the lifestyle/sports to the HD-2 exclusively.